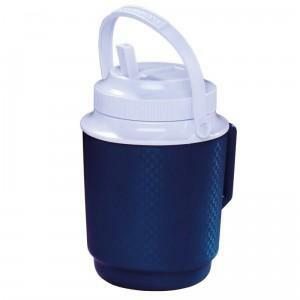 Wide-mouth, screw on cap for easy filling and cleaning. Fliptop spout for easy pouring and sipping. Bail handle for comfortable/easy transport. Liner is stain and odour resistant. These come in various colours – peach, green, blue, purple.